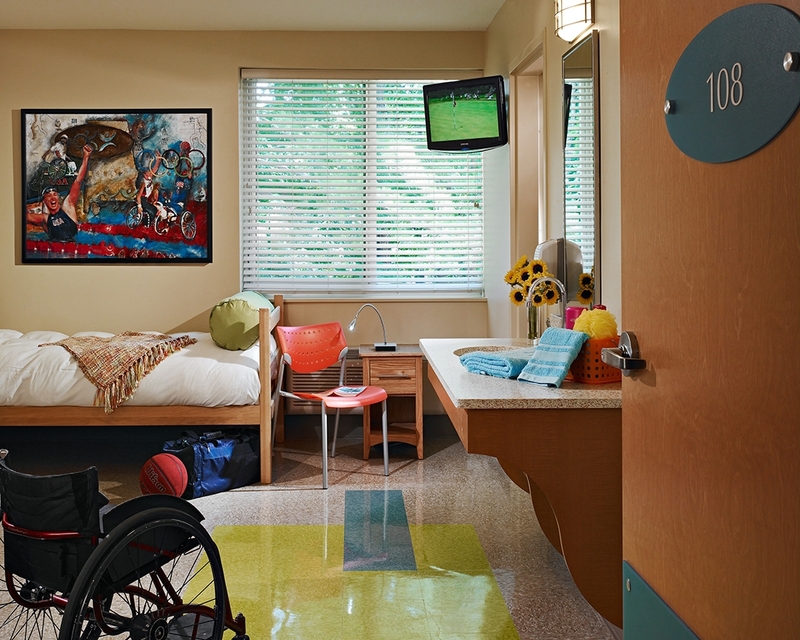 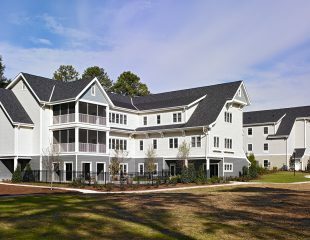 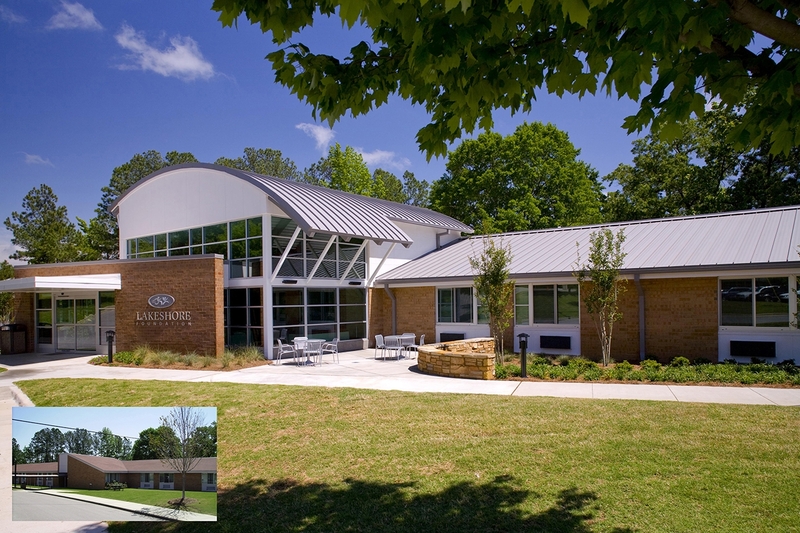 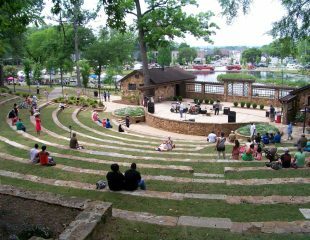 When the Lakeshore Foundation was named an official US Paralympic training site, KPS was charged with transforming a long-unused transitional living unit for their rehab hospital into a LEED® Certified dormitory suitable for exclusive use by the adapted athletes and military veterans with disabilities training at the facility. 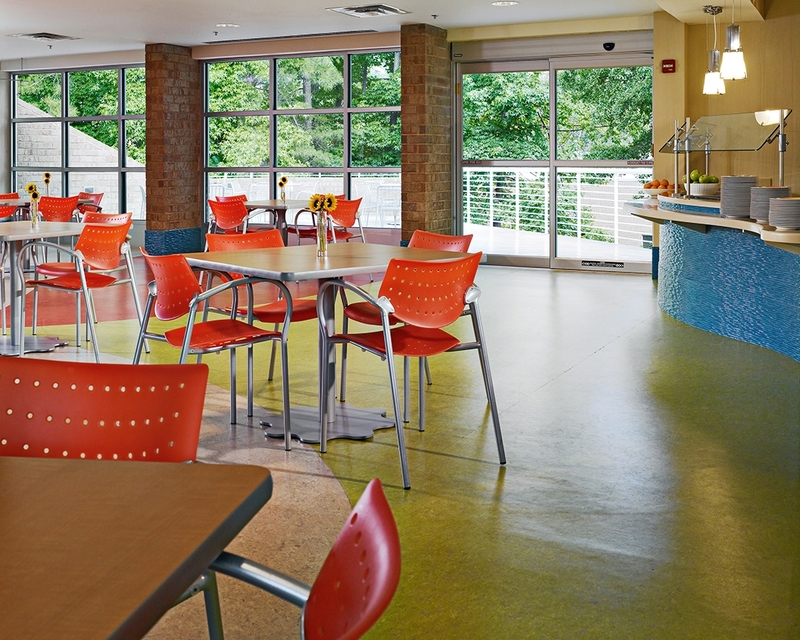 The building’s central section was substantially rebuilt to provide common areas and a kitchen with high ceilings and abundant natural light. 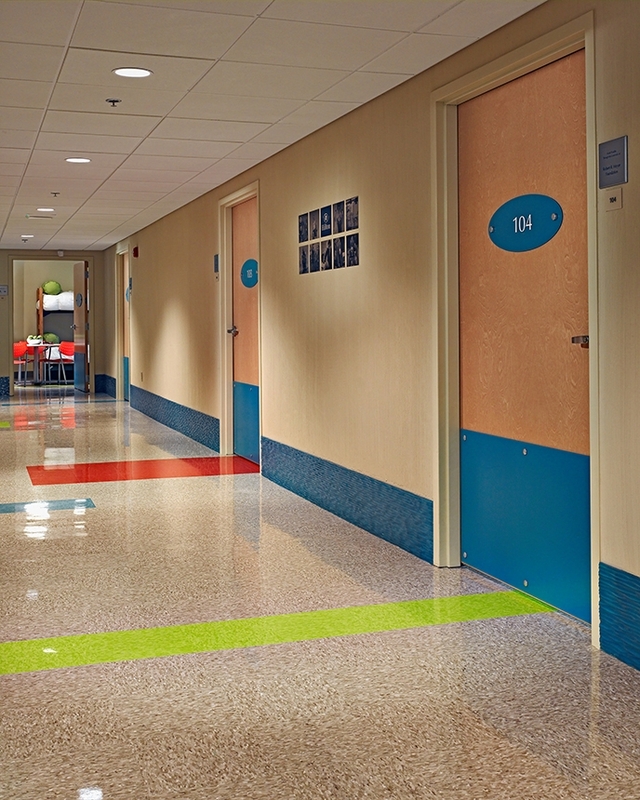 Bright colors and highly tactile surfaces aid in wayfinding for the visually impaired, and finishes with high-impact plastics mitigate damage from camber wheelchairs in constant motion. 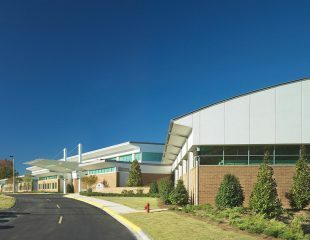 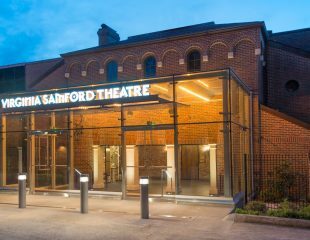 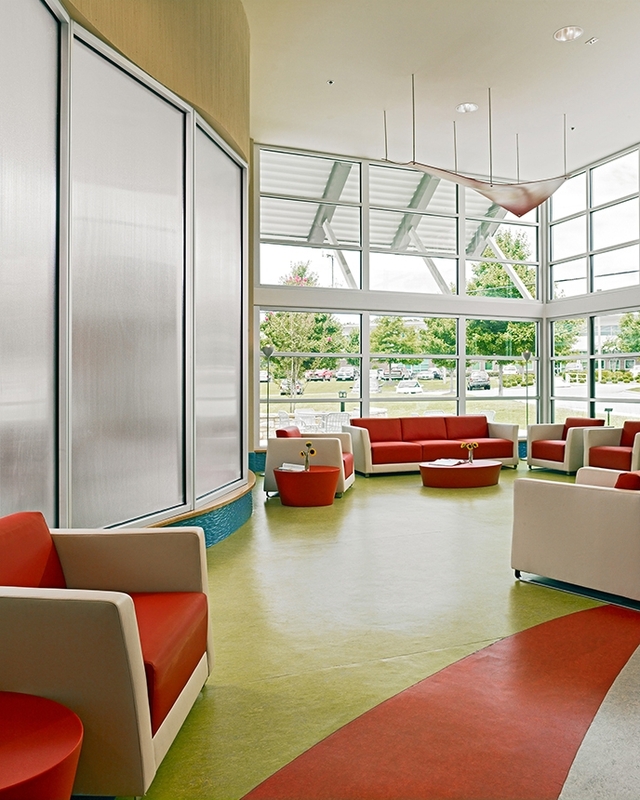 Sustainable features include a reflective roof, low-VOC materials and finishes, low-E glazing, high efficiency HVAC, and individual lighting and thermal controls. 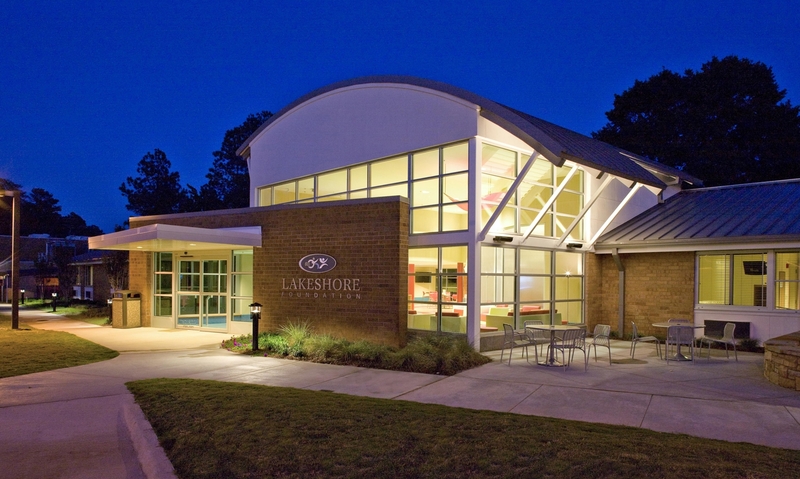 After the Lakeshore Foundation was chosen as one of the five US Paralympic training facilities, the Foundation needed suitable quarters for the visiting disabled athletes and military veterans coming to Lakeshore to train.